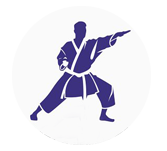 Karate is practice of combat sport or self-defence technique that needs a good stability of mind and body. The word Karate implies playing with empty hands. So, at the side of physical strength, one has to practice different playing tactics to have advanced stage over others. The individuals who are using this tutorial can know the fundamental way of practicing karate and the rules controlling it. Though this tutorial does not provide any complete study on karate practices, but it is well enough to make you comprehend the fundamental tactics. This tutorial’s main objective is to provide complete knowledge to people who do not know playing karate. Thorough demonstration and supervision will help the fresher’s to construct their basic standards about this game successfully. You can have a good perception upon karate from this tutorial, if you have the desire and willingness to practice this game.